This wonderful brooch is by JJ. Made of white & gilt metal it has an openwork white metal domed top frame across which is a gilt metal seesaw with 4 gilt metal pigs. 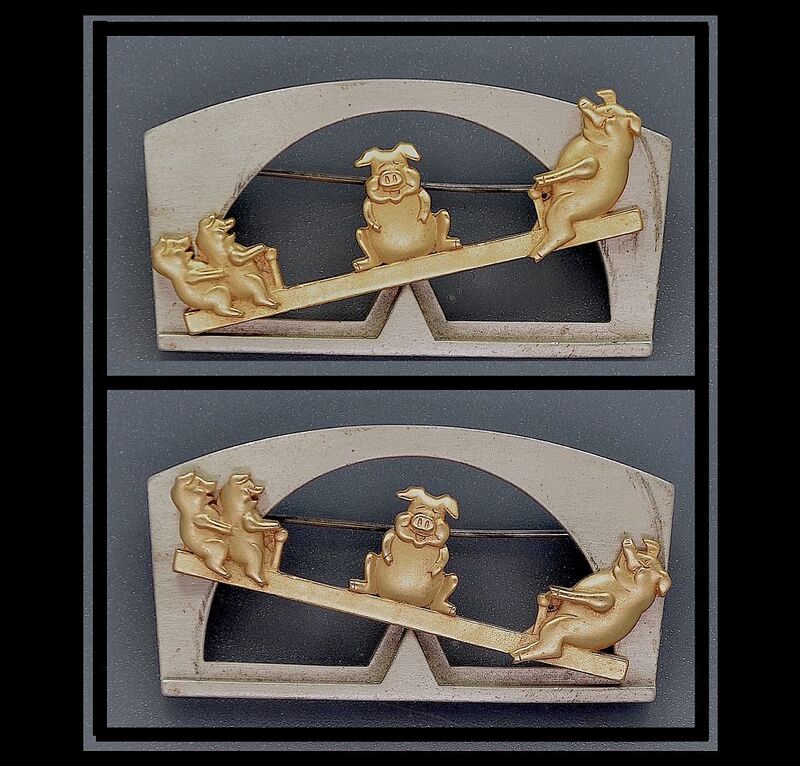 At one end are two small pigs, with a larger gilt metal pig sitting on the fulcrum and the largest gilt metal pig at the other end of the seesaw. The seesaw seesaws! The brooch is signed on the back in two places - there is a gilt metal rectangular cartouche stamped "JJ" on the gilt metal and a similar but white metal cartouche stamped "JJ" on the white metal. The pigs look like they are having a very jolly time!